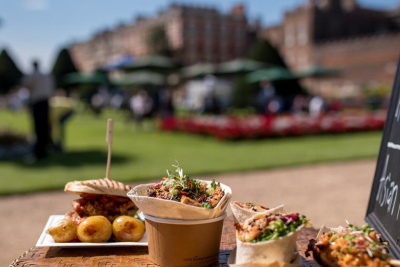 Hampton Court Palace Food Festival is set in the stunning grounds of Hampton Court Palace and is the perfect place to relax and enjoy great food and drink with friends and family. With over 100 producers of speciality foods to discover, feast on delicious street food, enjoy afternoon tea, sip on cocktails and champagne from pop-up bars and so much more. Experience live music, kids' entertainment, masterclasses, cookery demos, talks and book signings from a fantastic line up of the UK's top chefs and experts. Plus, all tickets include free entry into the beautiful Hampton Court Palace. It's simply the perfect family day out this summer!